Today, 10 years after its public launch, GitHub sits at the center of all developer workflows. But reflecting on this first decade in business, it’s not unrealistic to think that it’ll be at the center of all workflows in the years to come. In fact, because of GitHub’s roots in the developer community — and the increasing centrality of developers in general — understanding GitHub’s trajectory may actually provide a glimpse of what the future of work holds for businesses everywhere. After all, GitHub has accelerated trends that are now cliches. It helped make the idea that software is eating the world a reality, and meant that every company is becoming a tech company. It’s already clear that, even in the near future, development teams are going to be the focal points of more and more organizations, and that GitHub will, too. That’s not to overstate what it means to offer the best version control system. Version control is arguably already a commodity. Instead, GitHub will win because of its power as an ecosystem to connect people with the code and insights that come from that. That’s why one of its earliest decisions may have been its most significant, then and now. 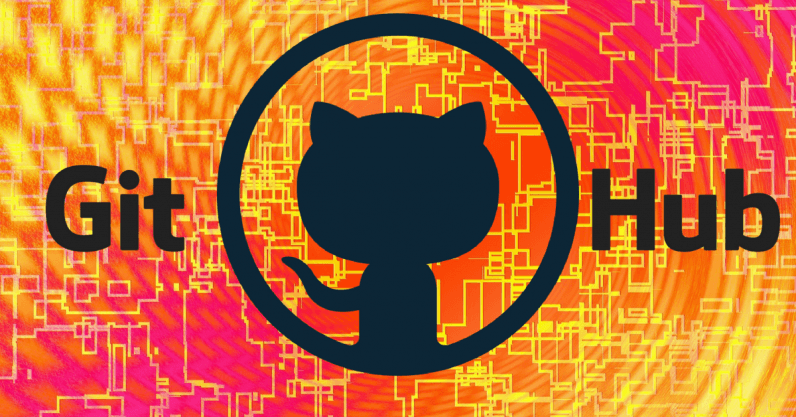 GitHub released its public API within three months of the core service going live. This was a huge and meaningful commitment to make, basically making it possible for developers to interact with their system in any way they wanted — and affirming, unequivocally, that that’s actually what GitHub’s intention had been from the get-go. Its mission back then was simple: to connect developers and make it easier for them to work together with Git. Its tagline then was even “social coding.” And that sustained commitment to the connections inherent in coding was — and is — pretty transformative. Nowhere was that more apparent in the early days than in the open source community. GitHub helped bring people together and collaborate asynchronously, working faster and more efficiently. That’s what brought Rails, and Ruby, and node.js, and Bitcoin, and so much more to GitHub in the early days. GitHub and open source are pretty symbiotic: The communities led to more communities, but GitHub also helped take open source mainstream. And that sense of community is now woven into GitHub’s DNA, permeating throughout GitHub’s public and private repos but also the ways developers work today. GitHub became the de facto standard for source code management in part because it started by creating a social community around code. It’s a bit of a chicken or egg situation, but I’d credit GitHub with making coding social in the first place. The big play underlying all these moves? To be the foundation of work, the infrastructure layer on top of which software is built. Though lots of companies have flirted with platform or developer-first ecosystems with APIs, these stories are rife with shifting directions and lack of commitment to their developer communities. GitHub set the standard for the tools you provide when addressing the developer community. If you want to build a developer product, you need to be a platform ecosystem. That’s exactly what GitHub has done, and what makes the decade ahead so exciting. Contrasted with alternatives like Gitlab and BitBucket, GitHub has taken a best-of-breed approach. It’s essentially created a platform from which it’s possible integrate the products and tools that are better than what it feels it can create. It’s not building chat tools or CI functionality or project management on its own; instead, it makes it easy to integrate Slack, or Circle CI, or whatever else you might want. This support is something my team and I have seen firsthand, as we’re building a project management startup whose mission is to keep collaboration close to the code and make agile development accessible. We’ve built an entire business with GitHub as, well, the hub. And even our shared customers — innovative companies like Shopify and Adobe are building their businesses in a way that puts GitHub at the center. It’s a whole lot more powerful than building a business on Salesforce, the original SaaS platform play, and is the logical step amid the rise of tech-led rather than sales-led businesses. Code as community is the key for GitHub to be a building block for business, but as it becomes easier and easier to build software, more like assembling components, these integrations will likely grow ever more diverse and important. So, too, will the spirit of transparency that GitHub supports, helping to break down knowledge silos within companies and to ensure that institutional knowledge doesn’t leave when employees move on or change roles. So it’s no wonder that now the hottest topic among the Fortune 500 that have integrated GitHub is “inner-sourcing,” an approximation of open source within the walls of a company. And that’s in large part to GitHub’s credit. Bigger and bigger businesses see GitHub as a talent requirement, and as they bring in the platform, they’re also starting to wake up to the other benefits of dev best practices. But while the last decade has been defined by the rise of the API and the power to bring, build, or customize whatever tools you like, I think the next evolution in the infrastructure layer — and what will make GitHub even more mainstream — is the data underpinning it, with more than 80 million projects’ worth of insights. GitHub’s given us some previews of its intentions here, with project recommendations based on past activity (the “explore” tab), security warnings based on project dependencies, and recommended code reviewers based on who has worked in the code being changed in a pull request. After all, when people and organizations give data to a system, they expect to get something in return. In the future, it won’t be enough that GitHub is just a great version control system. Their success will be determined by how they help make sense of the data that teams provide them with and translate those into insights for the team. If history is a guide, that’s likely a theme GitHub is likely to look to its partner community to help bolster, which is why we’ve been thinking about a lot of late as well: How we can give teams actionable info that helps them improve processes, further collaboration, and build better, faster, stronger teams. These are areas where GitHub has the power to really guide and protect how work is done by leveraging its massive network effects. So it’ll be GitHub and its advances in data that ultimately drive how software is written. So source code management might be a winner-take-all market, or it might not. Either way, GitHub is in the driver’s seat because of its power to connect and transform work. I’m excited for the trip.